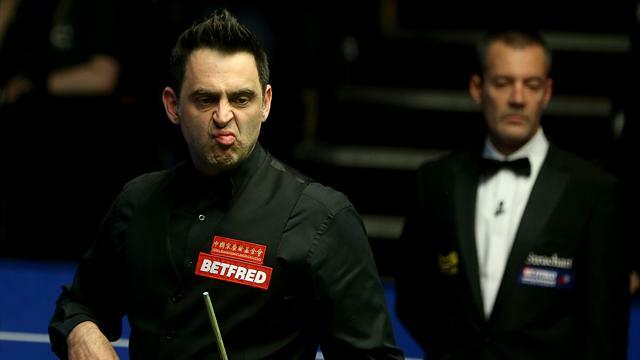 Ask any snooker fan how long Ronnie O’Sullivan took to compile the fastest competitive maximum break in history, and most will tell you it was five minutes and 20 seconds. Yet 20 years on from O’Sullivan’s astonishing 147 against Mick Price in the first round of the World Championship, it turns out that the official time was wrong. According to a fascinating investigation by deadspin.com, O’Sullivan first struck the struck the cue ball five minutes and eight seconds before the break concluded. World Snooker told deadspin that a break starts when the player hits the white ball for the first time in potting a red. How was O’Sullivan’s break wrongly timed? "I guess the answer must be that the time starts from when the white stopped moving on the previous shot (Mick Price’s last shot) and stops when the white stops rolling on O’Sullivan’s last shot," said a World Snooker spokesperson. This criteria would still have made the break five seconds faster at five minutes and 15 seconds. Apparently the timer started too early on the O’Sullivan break via the original BBC footage, and five minutes 20 seconds entered the record books, and has never been altered. Yet it has been proved that O’Sullivan’s break did not finish on five minutes and 20 seconds. Whatever was the official time, it was faster than the one that has gone in the Guinness Book of Records.